An eco-friendly salon shows that the salon is interested in the welfare of its patrons and employees. People are bombarded throughout the day with chemicals included in their foods and their home products. 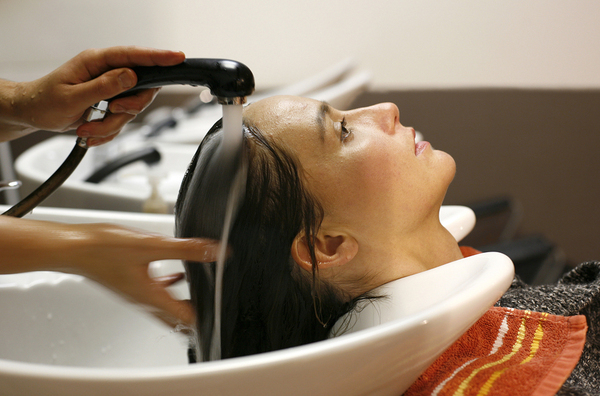 One idea that is fast taking hold and becoming popular is the eco-friendly salon. 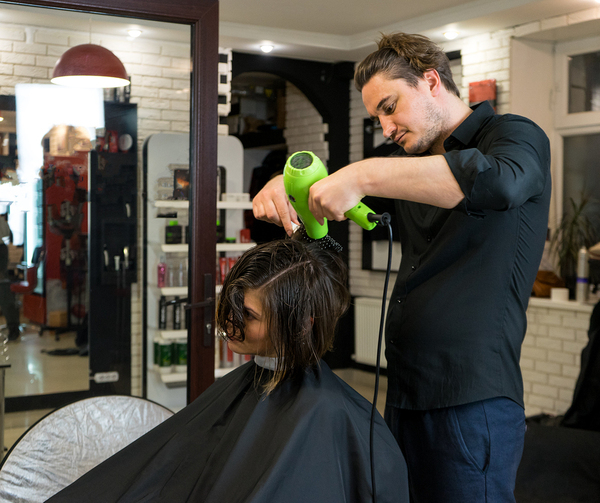 With concern about the climate and sustainability, going eco-friendly is something that clients will appreciate as a salon reduces their exposure to potentially harmful products. Just as keeping up with what clients want and need is essential, cosmetology education helps increase skills and knowledge of the industry that is so vital for success. If your salon intends to be more friendly to Mother Earth and safeguard the health of its clients, there are several ways that you can accomplish this goal. With all the plastics being buried in landfills and ending up in the oceans, it is only practical to switch to products made from sustainable materials or that can be recycled for other uses. Some salons are switching to glass instead of plastics because these are non-toxic, have many uses, and can be recycled. Decor and furniture constructed of recycled plywood, energy-saving lights, and sustainable flooring such as bamboo and VOC-free paints can spruce up a salon and save money at the same time while also being eco-friendly. If your salon needs a little boost, a few green plants can improve the air quality while bringing a touch of nature indoors. However, stay away from flowering plants for those with allergies. Recycled, sustainable decor is not just cheerful and practical. It saves money and helps the planet at the same time. Shampoos, styling products, and conditioners can be more expensive when they are purchased in disposable plastic bottles. Purchasing in larger quantities and using refillable bottles not only saves money but also helps protect the environment at the same time. Drippy faucets and air leaks around windows can cost extra money and are not energy efficient. Even a slow leak can cost a surprising amount of money, so having leaks fixed is just good sense both economically and environmentally. Eco-friendly shower heads for shampoo bowls can help to reduce both cost and water usage. Leaky windows and can cause problems with higher energy bills, and any excess is environmentally unfriendly. A little weather stripping or caulk can take care of that problem, lower bills, and make clients and employees more comfortable. Save water by getting rid of drips and switching to eco-friendly shower heads. Not only are products with ammonia and other chemicals unhealthy to use, but they also release nasty smelling fumes that are neither eco-friendly nor welcoming to clients. There is a wide range of hair products on the market now that are both eco-friendly and non-toxic while nourishing the scalp and hair at the same time. A quick internet search for green products can show you the wide range of choices that are available. Washing partial loads can consume a lot more energy and water than if the washer is full. 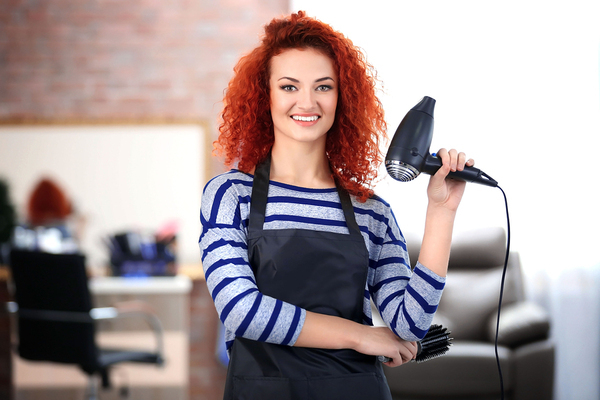 Salon owners can either wait until there are enough towels for a full load or buy more eco-friendly towels, which will make the ones you have last longer. If a newer, more energy-efficient, washing machine is out of the question due to cost, then try eco-friendly detergent, which is mild but effective. Since some clients are sensitive to chlorine bleach, using a mild detergent can be a good choice. It is essential to complete your continuing education each year. Cosmetologists have a busy schedule, and being able to fulfill this requirement online makes it easy to do. Just come over to Beauty Academy and download the courses you need, read through the material and even download the test. When you’ve finished, you will be able to pay and download your certificate of completion. Check out our courses to find out more.